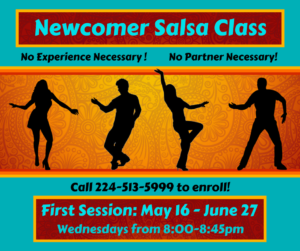 This 7-week session will teach the basics of Salsa! This class is open to beginners and is a perfect introductory to dancing for anyone without experience. No partner necessary!